Today’s post, contributed by an outside writer, is brought to you by Philam Asset Management, Inc. Looking for another way to invest your money? Consider a balanced mutual fund, offering a single investment fund that has characteristics of both stocks and bonds. While primarily, a mutual fund allows you to choose between a stock or a bond, a balanced fund gives you the best of both types of investment. Think of it as a hybrid investment which reflects growth in income and equity. But let’s dive even deeper into the pros and cons of a balanced fund. This will all depend on your goals as an investor, of course. With that being said, a balanced fund can endure different market conditions. Which means that if bond markets are weak, the stock portion of your investment may still hold its value. On the other hand, if stocks fall, the bond portion of your balanced fund may earn for you. Balanced funds may be particularly appealing to those nearing or already in retirement. While no investment is 100% safe, they are a comparatively conservative product, making them attractive to those who don’t have time to ride the ups and downs of the market. Remember that a balanced fund just allocates an amount to both asset classes within a set minimum and maximum. It is still just one investment. So let’s say you put $10,000 in a balanced mutual fund; it could be divided 50/50, 60/40, or 70/30. But you might need more growth to achieve your long-term goals–especially if one or both markets are being unpredictable or unstable. Additionally, balanced fund investors might not be able to maximize the gains of a bullish market, just as equity prices increase. Remember to check the expense ratio before you purchase any mutual fund. 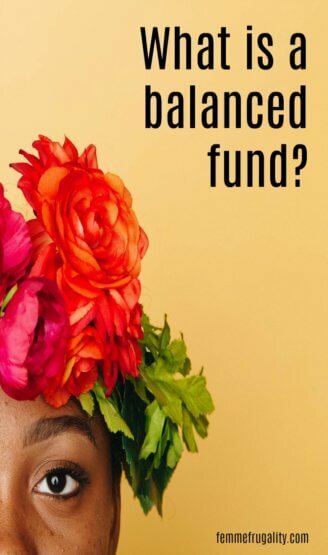 Basically, a balanced fund allows you to play safe. We all know that any type of investment comes with certain risks, mostly because we would not know what the market will be like in 3 years or 5 years’ time. You may choose to put money into an asset that is predicted to earn big in the future, but it is possible that the opposite may happen. With a balanced fund, you will be owning two assets that do not necessarily move up and down at the same time. Not only does this provide you with more of a safety net, but you will also still be likely to preserve your investment regardless of the performance of one asset. It would be best to familiarize yourself with the stock and bond markets individually, especially if this is your first foray into investing. A good foundation of those two will help guide you in your desired asset allocation—the percentage in stocks and the percentage in bonds–for both assets once you have decided you’re ready to invest in a balanced fund investment. This entry was posted in Money Management on December 19, 2017 by femmefrugality.